Also new updates have been added to the information for Lombok, Komodo & Rinca, Flores, Timor, Gunung Gede-Pangrango, Gunung Halimun, Jogjakarta, Carita, Pamanukan, Muara Angke and Bali Barat. 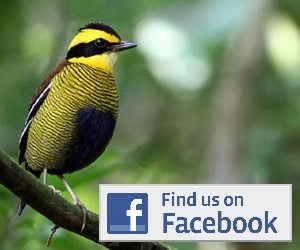 Follow the links or the menus above to check them all out. All of these new sites and updates have been contributed by Gareth Knass. If you think you can write an update to any site listed here, or add a new one, please just contact us. 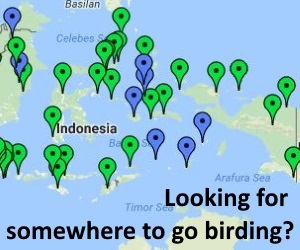 The birding info provided here is all contributed by birders themselves, and as there is not about to be a book on ‘where to watch birds in Indonesia’ any time soon, keeping this site up to date is the best bet for finding your way around this amazing country!